For over 40 years, RestorationMaster has been providing Danbury, CT and the surrounding areas with quality disaster restoration and cleaning services. Our office is in Waterbury, CT and we are ready to provide services for homes and businesses in Danbury, Bridgeport, Fairfield, and the other communities of Fairfield County. The IICRC certified technicians of RestorationMaster have received the highest level of training and are fully committed to providing a timely response to your restoration emergencies to contain the damage and restore your home or office. The main disaster restoration and cleaning services we offer include water damage restoration, sewage backup cleaning, mold removal, fire and smoke damage restoration, and hard surface floor cleaning. We use only the most advanced cleaning products and equipment to handle everything from minor cleanup to large losses and we can help you file insurance claims with your provider. RestorationMaster has provided restoration services for several local projects including the Hotchkiss School fire, Woodridge Lake POA water loss, and water damage at Yale. We are available 24 hours a day at (203) 721-6646 to provide emergency disaster restoration services in Danbury, CT and the surrounding area. 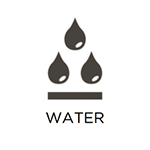 It is difficult to avoid water damage because there are so many possible causes from rain and flooding to internal leaks, overflows and sewage backup. If excess water does end up in your home or building, you must act fast to remove it because it will easily spread through porous building materials to cause structural damage, discoloration, and even mold growth. RestorationMaster provides water damage restoration services to remove water and moisture from homes and business in Danbury, CT. We use the most advanced drying equipment to extract water and moisture from your home and we can also safely clean sewage backups. Sewage may get into your home if there is a sewage backup and it is also highly possible for flood water to contain some sewage. If you suspect that the excess water in your home contains sewage, call our professionals to clean it up because mishandling sewage can cause illness due to its dangerous contents including bacteria and waste. 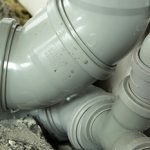 RestorationMaster provides sewage backup cleaning to safely remove water that contains sewage from homes and buildings in Danbury, CT. We will not only remove the water and restore the resulting water damage, but also thoroughly clean and disinfect the area to prevent disease or infection. 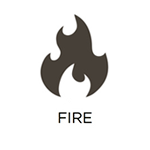 Few homeowners are prepared for a fire when it happens as they start very quickly and cause widespread damage in a home or building. While the fire causes significant damage, it is the smoke and corrosive byproducts that are more destructive because they can keep spreading after a fire is out and cause irreversible damage to the affected surfaces. 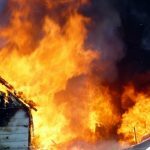 RestorationMaster provides fire and smoke damage restoration services for homes and businesses in Danbury, CT to repair the damage from a fire and clean up soot and smoke damage before it becomes permanent. We will immediately stop the spread of the damage and restore the home using the best equipment and cleaning products of the industry. 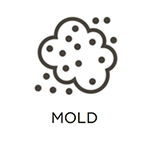 Mold can be a very troublesome presence in a home or building as it causes significant damage to the surfaces it grows on and leads to health issues such as allergies and infection from exposure. It often occurs as a result of water damage because mold spores need a moisture source and food source to grow, and the mold growth will continue to spread until it can be removed by a professional. RestorationMaster provides mold remediation services to remove mold from homes and buildings in Danbury, CT and cleanup the affected areas to prevent negative health effects or future mold growth. We will keep the mold growth contained to protect the unaffected areas of your home or building and we use advanced cleaning equipment to ensure that the mold is thoroughly removed. There are a variety of hard surface flooring types found in homes and public buildings that are chosen for their durability and price. All hard surface floors, whether they are vinyl, laminate, or hard wood, need to be cleaned and maintained regularly because dirt and debris gathers in the crevices of these floors. Over time, this can cause wearing of the finish and discoloration. RestorationMaster provides hard surface floor cleaning services to deep clean all types of hard floors for homes and businesses in Danbury, CT. We use state-of-the-art cleaning equipment that can safely and effectively clean and restore your hard surface floors.